10. We all have something we do the best - a little better than the rest. - The Berenstain Bears Ready, Get Set, Go! 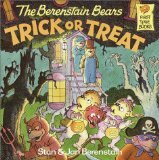 Check Out my Top 10 things I Didn't Know about The Berenstain Bears. Originally Posted July 26, 2010 for Jan Berenstain's Birthday! 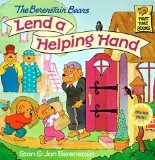 I adored the Berenstain bear books when I was younger. I can remember rushing to the shelf at the school library to get a new one. Loved your list of 10 facts, most of which were news to me.